Tainted Vaccination In Our Troops! Subtitle: Are U.N. Agencies once again planning to spread "death by vaccination" in Africa! After successfully spreading HIV virus through tainted vaccinations throughout many countries in Africa, the U.N. is again vaccinating millions of African children on the slightest of reasons! Can you imagine the arrogance of these Illuminati? They actually view reduction in world population as "benevolent genocide"! Is it any wonder we are spreading Depleted Uranium to at least 857 million people in the Middle East right now? "take control of the world"
"a plague be introduced the ... same effect as the Black Death of history." Now, let us zero in on firm evidence the Illuminati is planning fearsome epidemics. I find it highly interesting that Steve Jackson was invaded by the Secret Service at the time he was about ready to publish this game; he had to sue them to be able to publish it. Once you see the almost "prophetic" nature of this game, you will see why the government tried to prevent it from being created and distributed to the general public. 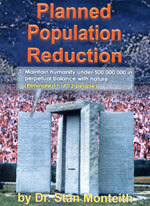 Now, refer back up to the card entitled, "Population Reduction". The Card says: "Too many people, making too many problems ... Destruction of three huge places ..."
Notice that this picture shows the Twin Towers with a huge smoke cloud above in the shape of a demon's head. Remember the demons spotted in the smoke of the World Trade Center Twin Towers? The attack on the Twin Towers was a perfect Satanic Fire Sacrifice, as we both show and explain in NEWS1547. Many pictures abounded that showed a demon's face in the fire high up on the Twin Towers. Two former Satanists called me within a couple of hours after those pictures were released, to tell me that those faces looked exactly like demons they had seen during a ritual when demons physically manifest themselves in this dimension. Cisco Wheeler further said that some of the most powerful demons in Satan's kingdom were known as Fire Demons; it was to these demons that the ancient peoples -- including Jews -- sacrificed their children to Molech. The appearance of these demon faces might be proof of what I have been saying -- that the attack was a Fire Ritual Sacrifice carried out by the Illuminati. Furthermore, notice that the wording on this card says, "Destruction of three huge places ..."! Yet, the picture on this card only shows the North Tower and the South Tower. What was the destruction of the other "huge" place? It would either be Building #7 of the WTC complex, which was detonated days after 9/11, or the attack on the Pentagon. Building #7 is probably foretold here, for that building was located in the same area depicted on this card. NOTE: All of these cards are explained in either the DVD, "Illuminati Card Game", and in our articles in our section, "Illuminati Card Game". "As its action, the CDC can supply Relief to one Devastated location ... If the CDC makes a direct attack to destroy a Place, it can use biological warfare and get a plus 15 to its attack." Don't you find it highly interesting that this game foresees the CDC creating and launching a biological attack on a "Place"? 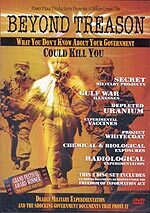 In the earlier part of this article, we posted the very important question as to who would launch a smallpox attack upon us, if Iraq, North Korea, al Qaeda, Syria, and other rogue states are unable to launch a weaponized smallpox attack; this card seems to answer this question: the CDC will launch the attack! Of course, our authorities will undoubtedly accuse either Iran or terrorists for this smallpox attack! "Len: And this report went on to say that the experiment was considered a partial failure because they got a slow-acting virus rather than a fast one. They were allegedly looking for fact acting killers. Robert: Except that quick viruses are, of course, worthless, because they're too easy to defend against. I mean a very fast-acting virus is not any good ... Cold Springs Harbor put out a big thing on MMMV, that is, the 'maximally monstrous malignant virus' ..."
Dr. Horowitz clearly believes that the Plan calls for a slow-acting virus, one that will begin to kill people at different times after the initial infection. But, it will be both deadly and beyond the revealed capability of modern science to treat. Dr. Horowitz speaks to this monumentally important subject, in his book, "Emerging Viruses: AIDS and Ebola", quoted above. Dr. Horowitz uses almost 600 pages to prove that the United States deliberately created the AIDS virus as a weapon and then began to spread it through the African population through "free" United Nations vaccinations. Gay populations were deliberately infected through "health trials" conducted in major U.S. cities. In this book, Dr. Horowitz speaks as the physician he is, and he is totally credible. 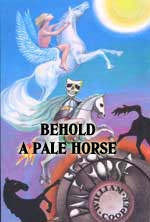 However, in subsequent books, Dr. Horowitz speaks from a New Age spiritual perspective, and is to be avoided. We will quote him only from his book, "Emerging Viruses: AIDS and Ebola". Now, with this concept firmly in our minds, let us examine the current United Nations vaccination program. "In the largest-ever synchronized vaccination campaign in the Horn of Africa, Somalia, Ethiopia and Kenya will simultaneously vaccinate millions of children under five years of age starting this weekend, the United Nations World Health Organization (said. Polio-free for almost three years, Somalia became re-infected last year with a poliovirus imported from Yemen, WHO said, and has since seen some 215 confirmed cases. Since its re-infection in December 2004, Ethiopia has reported a total of 37 polio cases with four out of 11 regions infected. The high-risk areas remain the cross-border region of Somali, Ethiopia and north/central areas of Somalia. Kenya has been polio-free for the last 22 years. The upcoming drive will involve teams on the ground ensuring that every child is vaccinated by moving from house to house, in cities, towns, and villages, and in hard to reach areas, using all transportation means possible, such as camels, horses and donkeys. The polio eradication effort in the Horn also involves religious and community leaders, women’s groups, youth associations, schools, and governmental and non-governmental organizations (NGOs), all working to prevent the paralysis of children, WHO said." Because of a total of only 252 new polio cases, the WHO is planning to vaccinate many millions of children! Does that sound like over-kill to you? Whenever a situation sounds too ludicrous to believe true, it usually is too ludicrous to be true, so we must look carefully at other answers. This next segment sounds an alarmist note that this macabre plan might not be realized! Don't think that we are not under attack from a government-forced vaccination program, as this next section truly attests. "Federal health officials will issue detailed guidelines today for vaccinating the entire U.S. population against smallpox within five days of an outbreak of the dreaded disease. Intended as a blueprint for state and local health officials nationwide, the unprecedented move reveals a growing belief within the Bush administration that even one case of smallpox anywhere in the Western Hemisphere would signify a terrorist assault and should therefore trigger a far more massive response than officials had previously suggested ..."
I seriously submit to you that the CDC could easily produce "even one case of smallpox anywhere in the Western Hemisphere"! If this is the basis upon which the panic button will be jammed down, we are in for a world of hurt, sorrow, and disaster based upon really "minimal threat". 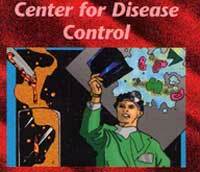 And, just as the Illuminist INWO game envisioned, the CDC has a key role to play. Let us go back to this article for that bit of information. If this "bio terror attack" were to occur at the same time that war is blowing up the Middle East and on the Korean Peninsula, public panic would set in and immediately ratchet upward. Government provocateurs would be expected to be stoking the fires of riots in the cities, using the gangs that have been allowed to arm, prepared just for this moment. Doesn't this sound like the scenario facing us right here and right now? "Terrorists" are attacking us, and our government is going to tell us it is absolutely necessary to take away our freedoms and free government in order to "quell the enemies of peace" and "tame all parties". People will believe this even though the Illuminati has already laughed at their ruse. Remember also where we stand prophetically. Before the 7-year Tribulation Period can begin, we must go through the FINAL Birth Pangs that will produce Antichrist [Matthew 24:8]. This period may sound and feel a lot like Tribulation events. A lot of people may be jailed and martyrdom of Christians and patriots may begin. But, these are "only" the final birth pangs that will result in Antichrist arising. Are you spiritually ready? Is your family? Are you adequately protecting your loved ones? This is the reason for this ministry, to enable you to first understand the peril facing you, and then help you develop strategies to warn and protect your loved ones. Once you have been thoroughly trained, you can also use your knowledge as a means to open the door of discussion with an unsaved person. I have been able to use it many times, and have seen people come to Jesus Christ as a result. These perilous times are also a time when we can reach many souls for Jesus Christ, making an eternal difference.